School begins in three weeks for Rockwood School District students. That means it is time for parents to get your kids ready for going back to school. There are clothes to buy, pencils to sharpen and summer reading to finish. A comprehensive vision exam should be at the top of your list. As parents, you want your children to be successful in school. Good vision is a key. Comprehensive eye exams are one of the most important investments a parent can make to help maximize their child’s education and contribute to overall health and well-being, especially since some vision problems may not have warning signs. If your child has difficulty seeing the smart board or their reading, this could present unnecessary challenges to their classwork. It has been estimated that as much as 80% of the learning a child does occurs through his or her eyes. Reading, writing, chalkboard work, and using computers are among the visual tasks students perform daily. A child’s eyes are constantly in use in the classroom and at play. When his or her vision is not functioning properly, education and participation in sports can suffer. Early detection and treatment provide the very best opportunity to correct vision problems, so your child can learn to see clearly. Make sure your child has the best possible tools to learn successfully. For school-aged children, the AOA recommends an eye exam every two years if no vision correction is required. Children who need eyeglasses or contact lenses should be examined annually or as recommended by their optometrist. Early eye examinations are crucial to make sure children have normal, healthy vision so they can perform better at schoolwork or play. Unfortunately, parents and educators often incorrectly assume that if a child passes a school screening, then there is no vision problem. 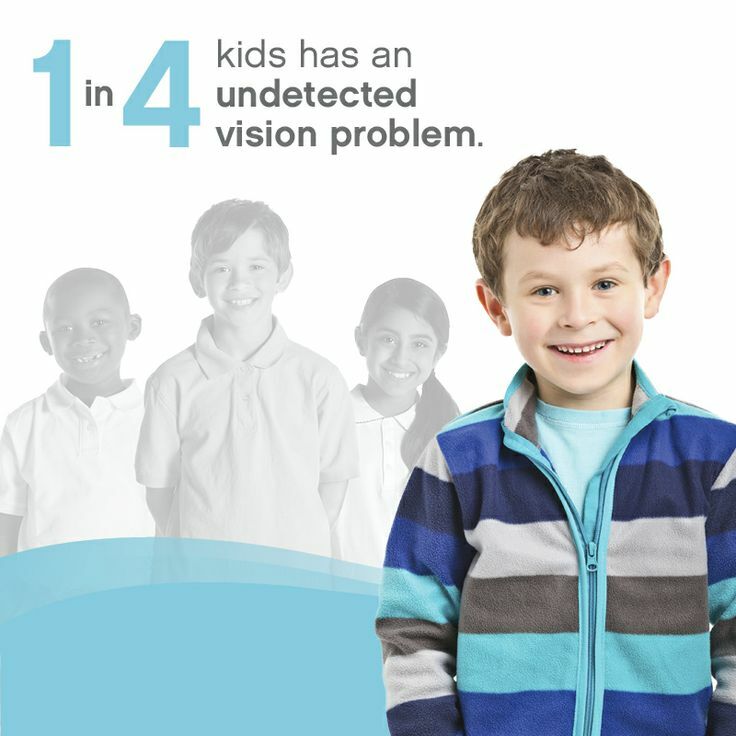 However, many school vision screenings only test for distance visual acuity. A child who can see 20/20 can still have a vision problem. In reality, the vision skills needed for successful reading and learning are much more complex. It is also important for all children to protect their eyes from damage caused by ultraviolet radiation in sunlight. Sunglasses are needed to protect the eyes outdoors and some sport-specific designs may even help improve sports performance. Because children tend to spend significantly more time outdoors than most adults, up to half of a person’s lifetime exposure to UV radiation can occur by age 18. Also, children are more susceptible to retinal damage from UV rays because the lens inside a child’s eye is clearer than an adult lens, enabling more UV to penetrate deep into the eye. Therefore, make sure your kids’ eyes are protected from the sun with good quality sunglasses. Also, encourage your child to wear a hat on sunny days to further reduce UV exposure. Make sure that your children are prepared for the school year by scheduling an exam with one of our doctors. Both Dr. Prange and Dr. Knibb have school age children of their own. Give us a call at our office to find a time that will work well for your family. This entry was tagged back to school, children, eye exams, kids, pediatric eye exam.